» How Parents Can Teach Math At Home To Their Children. Math is a major challenge for a lot of students just like other subjects. The difficulty in math may be higher compared with other subjects but there are different ways to combat this challenge and ensure that the difficulty level is reduced to a minimum. The fear of learning the subject has witnessed an increase in poor performance in exams; especially with students in secondary schools. Children learning math at home should be encouraged by parents. The job of teaching math to students should not be left to just the teachers in the school. Parents play a significant role in the success of their children’s academics and this includes assisting them to understand math at home. The aim of this article is to assist parents with useful tips on how to help their children understand math at home. The following points clearly highlight the ways in which parents can make learning math at home, a fun and interesting process. Learning math at home does not have to be a boring process. Most times children complain about how uninteresting and difficult they find studying math in school to be. These unchecked complaints often translate into poor performances at the end of the school term by these children. However, one of the roles of the math teachers towards the students is to ensure they make math an attention-grabbing subject to students. There is a popular notion that math is extremely difficult and this has affected the thoughtfulness students put into understanding the subject. 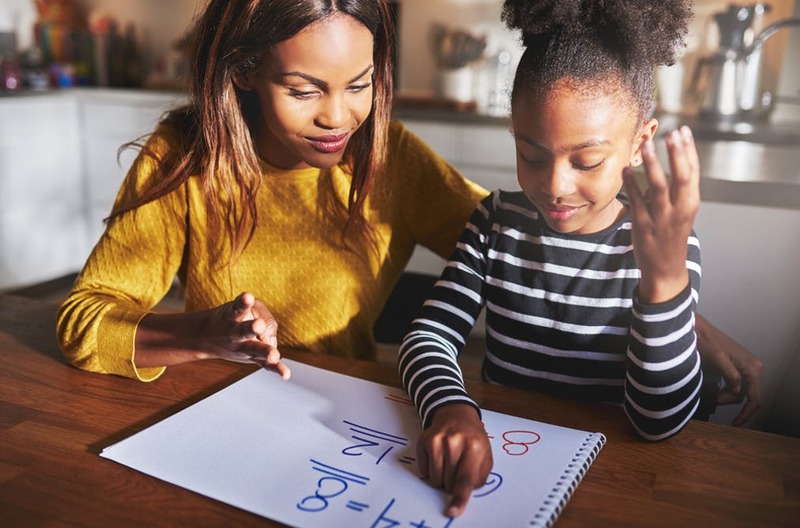 Aside from the teachers making the process of studying math an interesting one, parents also have their roles to play in assisting their children to learn math at home. It is important for parents to be careful when selecting schools for their children. They should pay close attention to the quality of education offered by the school, especially starting from preschool level, because this is where children understand the principles of math. It is from such tender age that they get the opportunity to exercise their mathematical mind as a gateway to abstraction. If the school is excellent at educating the students in math, there will be less anxiety and tension; this, in turn, will translate to outstanding performances in their math result. Moreso, parents also have a role to play in ensuring that their children excel in academics. There are several ways in which parents can learn to make math at home a fun process for their children. ​There are several math games children can play at home that will encourage their creativity. Math games can help parents learn or practice mathematical concepts in ways that are less difficult and enjoyable. A good math game is one that is thought-provoking enough for the child but not so challenging to make them lose interest. Find below simple games that can help make learning math at home more interesting. No of players: 2-4 Materials: Deck of cards How to play – deal out five cards to each player. The rest of the cards are put down in the centre. 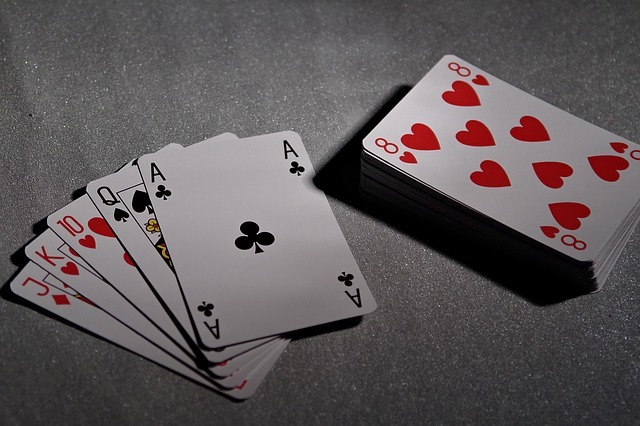 If the player can make a pair that adds to 5, they place their cards down in front of them face up. This goes on until the player with the largest number of pairs wins. No. of players: 3 or 4 Materials: Use playing cards Ace-10 or makeup cards with numerals and pictures How to play: (1) Deal all the cards to the players. (2) The players who have ones put them down in a column in the middle of the table. (3) Decide who will go first, second and third. (4) Players take turns putting down one card at a time to continue each line as above with the next number in the sequence. (5) Anyone who does not have a card can pass. 6. The first player to lose all his/her cards wins. No. of players: 3Materials: Deck of cards How to play: (1) the cards are dealt to two of the three players. (2) The two players dealt cards sit facing each other and place their stacks of cards face down in front of them. (3) At the same time, these two players take their top card and say “Salute!” as they hold the card on their forehead (you are not allowed to look at your own card, only the other player’s card). (4) The third player (with no cards) announces the total of the two cards showing. (5) Each of the players guesses the number on their card by subtracting the other player’s card from the total that was announced. (6) The third player is the referee and decides which player announced their card’s value first. That player takes both cards. 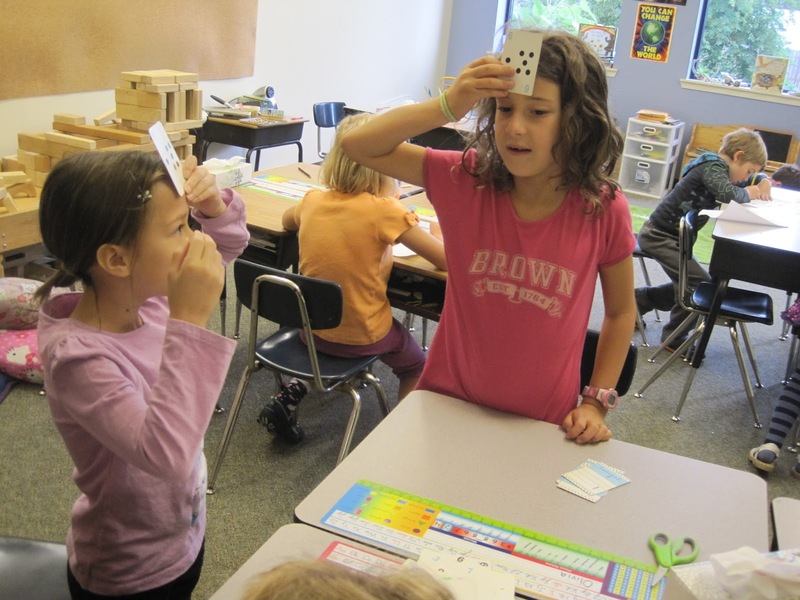 (7) The player with the most cards winsIf you discover, most of the math games use a deck of cards to practice. This is because card games stimulate your thinking and get you to solve problems quickly. They are excellent at teaching children basic math problems. ​Math and music is another great way for children to enjoy learning math at home. Children enjoy music and it is one of the best ways to get a child to remember patterns. Math songs help children to remember mathematical concepts and in most cases to better understand difficult concepts. Play and sing songs that include number concepts. Make patterns with claps. For example, Counting songs help children to count, but they also help children to develop other concepts, such as one-to-one correspondence (counting one thing for each number word). YouTube is a great platform that provides many examples of songs for teaching math at home. ​This will come as a surprise to most people, but do you know that reading stories to your children can enhance their interest in mathematics. Parents should spend time to teach their children math at home, because when children are constantly engaged in math related information, it improves their comprehension of the subject. Most parents make the mistake of not encouraging the culture of reading and studying math with their children; hence, the reason math becomes so difficult when the child is older. Early Childhood education should be taken seriously, it is not just the role of teachers to educate the children, but parents should be actively involved in their children’s education.Early math skills foretell higher aptitude in high school math and higher rates of college enrollment. Parents should help their young children with reading math books at home. Children’s first experience with mathematics is often through numbers introduced in stories, rhymes and stories that focus on the concept of three (e.g. 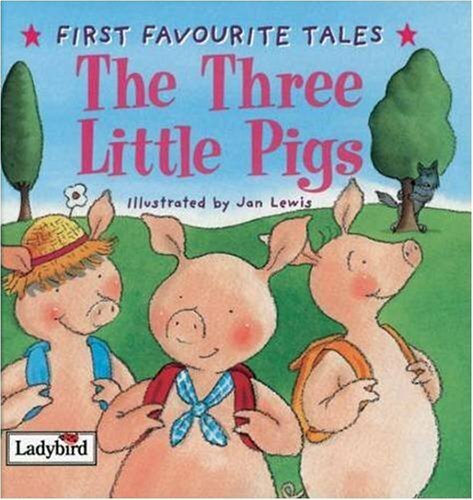 three little pigs, Goldilocks and the three bears, three blind mice) and then later the concept of five (e.g. five little monkeys jumping on the bed, five little ducks) over time through repetition these books introduce children to the perception that numbers have a consistent sequence. Parents should take time out of their busy schedule, to focus on helping their children learn math at home. Math is a subject that with practice you get better, with that said if you find that your child is struggling with math in school, then make effort to help them out at home. Teach them concepts in fun ways. For older children who are in secondary school, there are books they can read at home that will help them solve math problems. Parents should sit down with them and explain textbook concepts or paint an interesting scenario that will help them have a clearer understanding of the subject. Good math books always have reasoning questions that are quite interesting to use for brainstorming sessions with children. Involve your older children in making mathematical estimations, for example; “It says that this dinosaur is 12 meters long and 3 meters high. Do you think it would fit in our doorway? Now to the schools in Nigeria, it is not just the job of the parents to make math an interesting topic to children. Schools in Nigeria also have their responsibilities in ensuring students perform well in math. 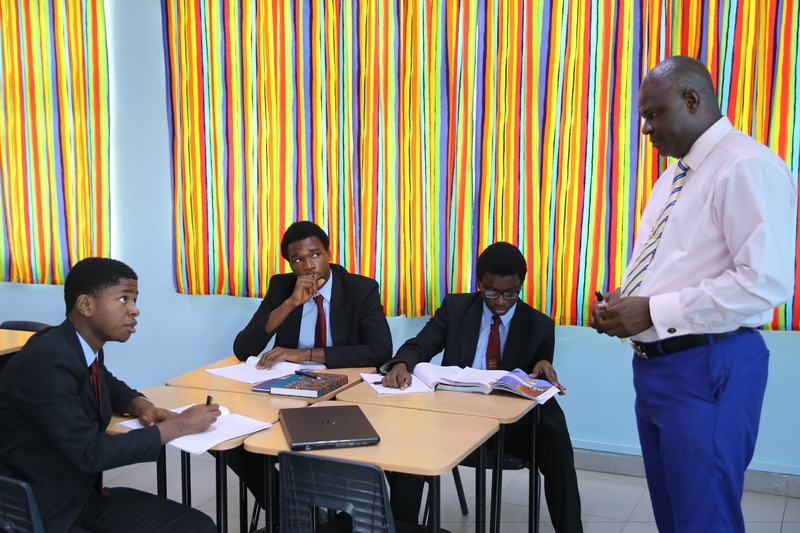 The school is meant to be the place where students learn and enjoy topics taught in the classroom. Schools in Nigeria should endeavour they get quality teachers who have a background and knowledge in the subject areas before they are employed to teach students. Math has been one of the subjects which Nigerian students especially at secondary school level develop a dislike for and likewise perform poorly. Students of Greensprings School learning in the classroom. Teachers in schools in Nigeria sometimes do not help matters as they focus on teaching children how to memorize formulas instead of guiding them to understand the basic concepts and techniques of the subject. Teachers in Nigerian schools should help students understand the benefits that could be derived from the study of math beyond being one of the subjects required to progress to colleges, polytechnics and universities. In summary, math is an interesting subject that students need not be scared to learn. Parents should teach math at home to their children especially for those who struggle with the subjects and they should encourage math learning from a tender age. Also, teachers in Nigerian schools should know that they have a responsibility to ensure they provide the right foundation for students to understand math. 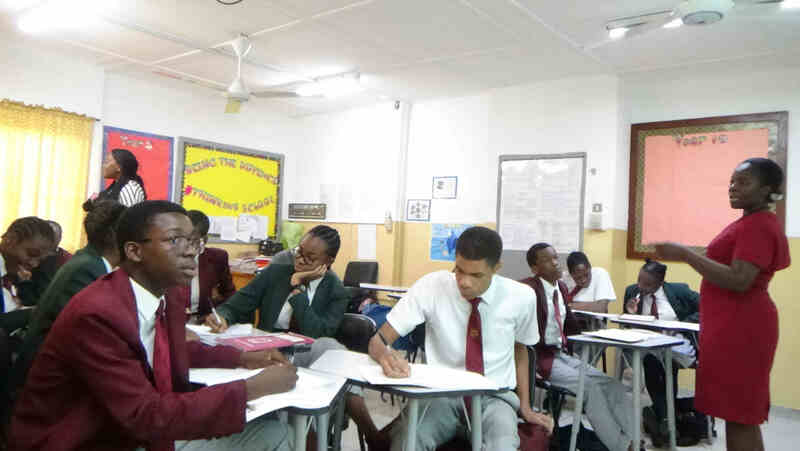 Read about three students in a school in Nigeria, who emerged top in the world for Mathematics and other subjects in the Cambridge IGCSE.